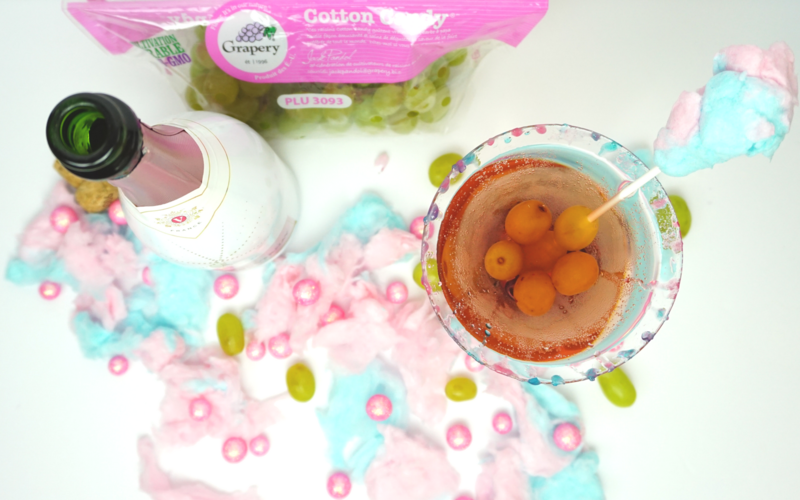 If you are a huge cotton candy fan like me, you might have seen Grapery Cotton Candy Grapes in Publix or Whole Foods. I am pretty sure I jumped for joy when I saw them in the store! I never imagined the grapes would actually taste just like cotton candy. But yes, these once-per-year treats really do taste like cotton candy and they are delicious! You may want to call ahead to your closest Publix or Whole Foods to make sure they have Cotton Candy grapes in stock. Several of my local stores do not have them in but other locations do. 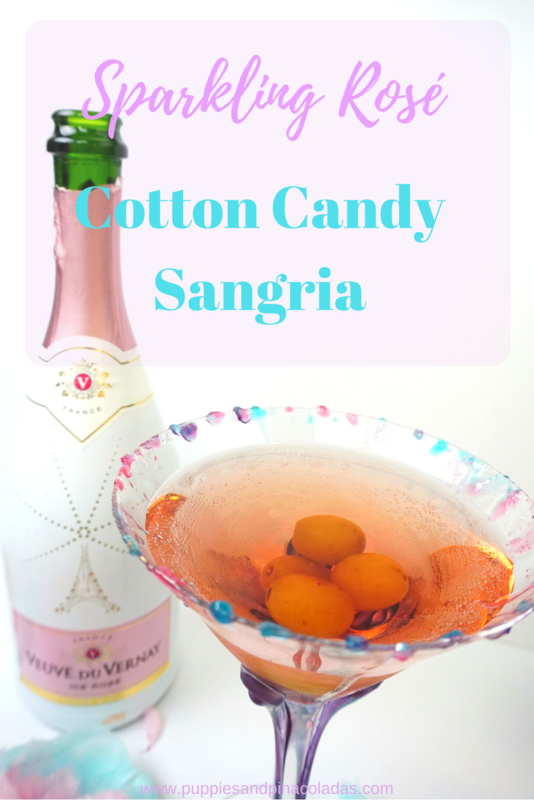 If you are lucky enough to find them, you can make Cotton Candy Sangria with the recipe below. Wash grapes and de-stem, then place half of the grapes into a bowl. Take a fork and prick the grapes a few times, making sure most of the grapes are pricked. Place the pricked grapes from the bowl into an empty pitcher. Close the lid to the pitcher or cover with plastic wrap and leave overnight. Pour a glass of the sangria. Before you follow the next step, taste to see if the flavor is “cotton candy enough”. 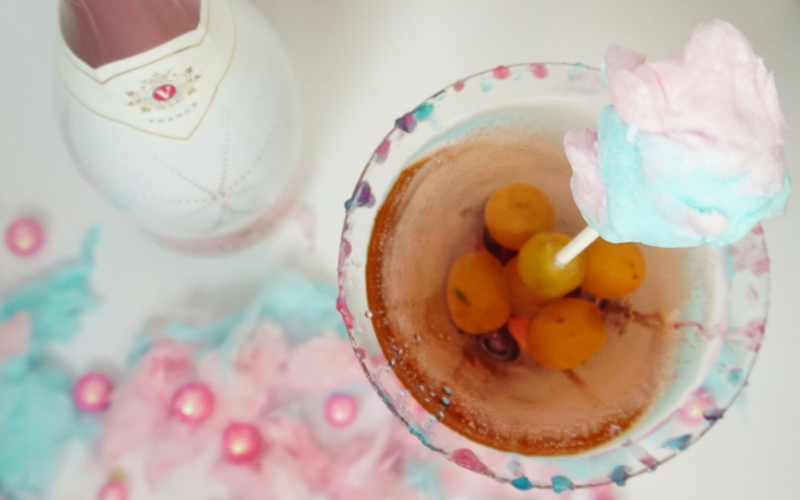 Add 1/2 cup of cotton candy or more (“season” to taste) to the contents of the glass. 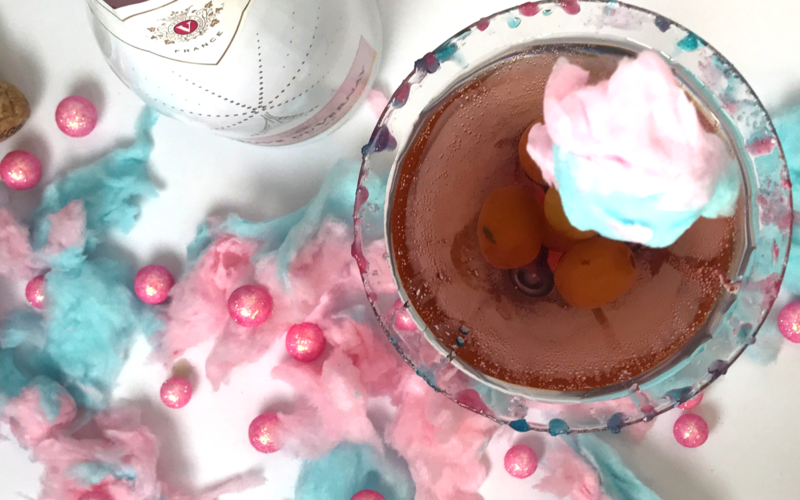 Get a pinch of cotton candy that has blue and pink. Dip a teeny tiny amount very quickly into the sangria in the glass. As the sugar is melting, mold the cotton candy around the class. Use alternating colors to get the same look. Keep grabbing more cotton candy and melting it around the glass until complete. If you can’t stand to wait overnight, you can add 1/2 cup of cotton candy to a glass after an hour or so. However, I will say I did this and it wasn’t nearly as good as the next day. Freeze the other half of the bag of grapes and use them as ice cubes. On day two the Sangria tasted even better!